The part of the country’s largest urban sea-hill of Thane District divisioned on 1st August 2014 or 36th new district Palghar came into existence. The working time of a new district in the presence of then Chief Minister Prithviraj Chavan and then Revenue Minister Balasaheb Thorat started from 1st August 2014. Palghar is the 36th district of the state.It is spreaded between the west coast of the Arabian Sea and the Sahyadri Mountains rows that are east of the Northern District of Palghar. Palghar DISTRICT total population is around 29,90,116. The district has a total of 8 talukas, Mokhada, Talasari, Vasai, Vikramgad, Palghar, Dahanu and Wada. 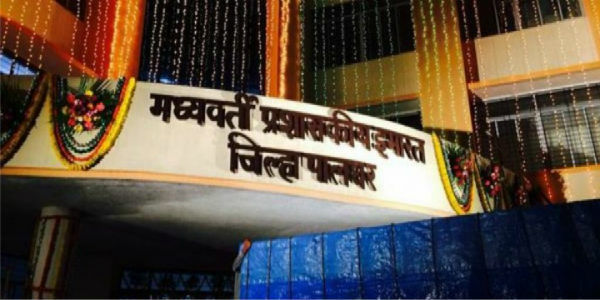 Palghar DISTRICT has 4,69,699 hectares of the total geographical area in a total 1008 villages and 3818 sub-villages as well as 477 gram panchayats. In District the literacy rate is 66.65% and Male percentage is 72.23% and female literacy rate is 59.28%.